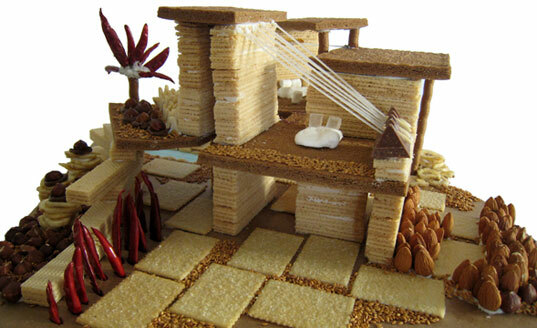 Gingerbread Houses are going modern! Since Gingerbread is so versatile and can be crafted into any design shape that can be thought of, modern seems to be all the rage. This modern Gingerbread House even has almond cacti, a pepper Palm tree, Toblerone stairs, hard Gingerbread floors, cookie countertops and marshmallow furniture! So neat!! Read more here.